For the very first time, we have peered into the abyss. 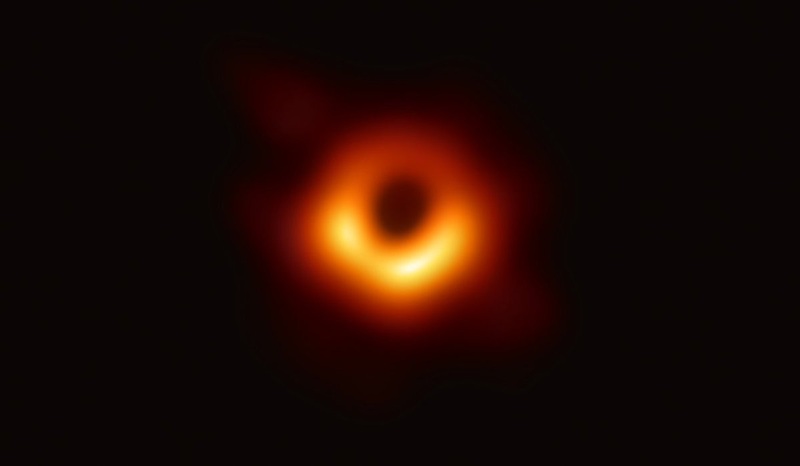 Scientists unveiled the first-ever photograph of a black hole, giving mankind a glimpse of an intriguing celestial object that has captivated our imagination for more than a century now. A picture of a black hole is like the sound of silence, the presence of absence or the lives of the dead. It’s self-negating and nature of one refutes the other. But, the Event Horizon Telescope (EHT) with the help of a 29-year-old computer scientist has treated humanity with two pictures in simultaneous press conferences held today in six different locations around the world. The EHT used a network of linked telescopes around the Earth to create a single, Earth-sized radio telescope and that has taken the first direct image of a black hole. 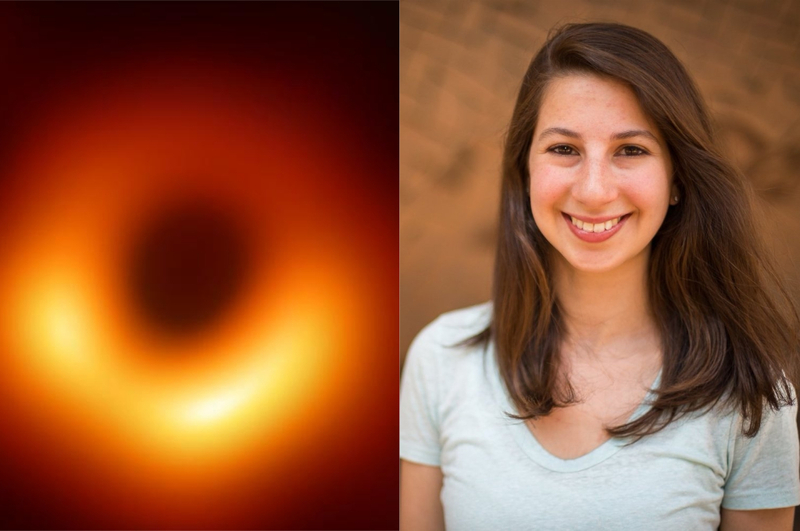 And computer scientist Katie Bouman led the development of an algorithm named CHIRP (Continuous High-resolution Image Reconstruction using Patch priors) that made the breakthrough image possible. The computer program was needed to combine data from the eight radio telescopes under EHT. 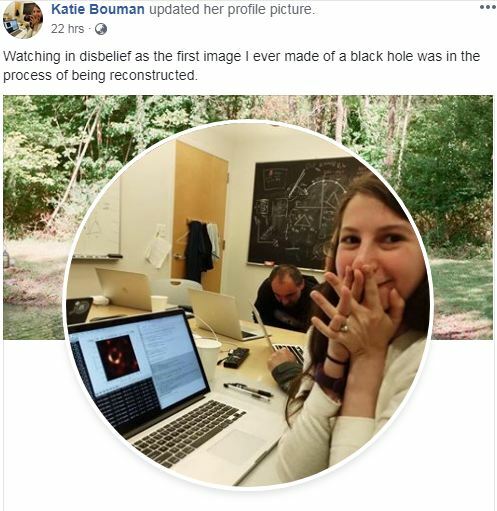 Bouman’s photo on Facebook of herself reacting as the historical picture was processing is heart-warming. True to the nature of science, you cannot see the black hole itself- they don’t emit light, hence the name. Their defining feature is that they are so dense and generate a field so powerful that nothing, not even visible light can escape their pull. 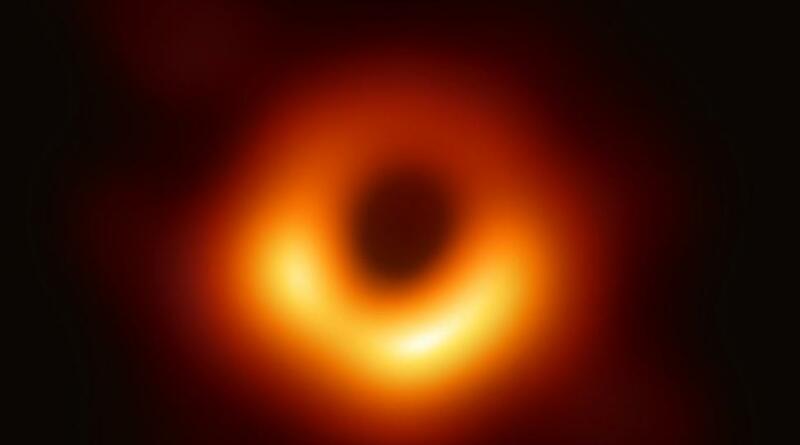 The picture rather reveals the black hole’s silhouette and the swirl of gas and dust and stars and light itself circling the black hole drain, before they’re sucked inside never, ever to emerge again. EHT’s eight telescopes observed two super massive black holes back in 2017. One at the center of our galaxy, which is named Sagittarius A* and the other, the much larger behemoth at the center of another galaxy named M87.